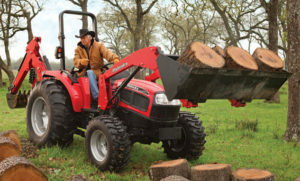 The tractors from the 35 series have motors ranging from 35 horsepower (the 3535) to 50 horsepower (the 5035) and are referred to as the Premium Series of the Mahindra brand in the company literature. The 4035 is a heavy duty machine. The 40 horsepower aspirated diesel motor has three cylinders and put up 293 cubic centimeters. 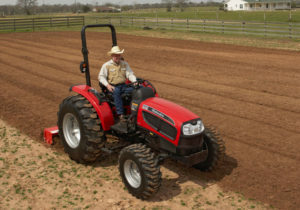 While having a 2800 RPM engine speed, the direct injection motor’s power plant of a 4035 tractor sends 33 horsepower to the power take-off (PTO). While some machines need to turn to particulate filtration in order to align with the EPA Tier IVi compliance, the 4035 is naturally compliant with it. However, when the Tier IV new regulations come into effect, we can expect some changes to the 4035 to be required as well. The chassis of the 4035 is of cast iron, therefore rigid. Due to the 12F / 12R power shuttle transmission that sends the motion power from the engine, a clutch is also not required when changing directions. The one pupm hydraulic system is generating 16 GPM, of which 5 are sent to the power steering and the other 11 to the potential use of implements. While the 3535 is endowed with only one type of transmission, the bigger siblings 4035 and 5035 come with three options: shuttle, hydrostatic dress and power shuttle. The disadvantage of having only shuttle transmission is that it requires the use of a clutch for direction changes, even if it behaves perfectly when it comes to having the work carried out. At a cost of a $1500 and sacrificing the PTO horsepower, the hydrostatic models gets one rid of the efforts invested in speed modulation. On the next lower price stage, there is the power shuttle transmission, evaluated at approximately $750. However, both of them are more expensive than the default shuttle transmission, which come for no extra cost and PTO power output decrease, but with consistent clutching. The shuttle control at a Mahindra is like the ones of other manufacturers as well, similar to a fingertip turn signal stalk. Using intuitive movements like lifting, pushing and pulling back the lever, it is actually pretty easy to get used to. 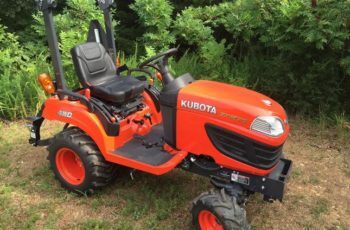 Having three ranges and four gears, the Mahindra requires the use of the clutch for every change to these, while keeping the PTO running independently. One the right side of the dash, there is a switch for three types of detents: off, manual and automatic. While manual and off are self explanatory positions of the switch, the automatic position determines the PTO to either stop or start whenever the use of implements comes into play. 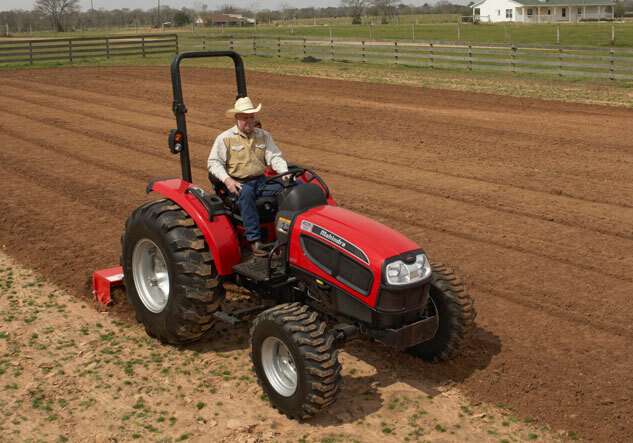 The Mahindra 4035 has technical aspects easy to recognize. 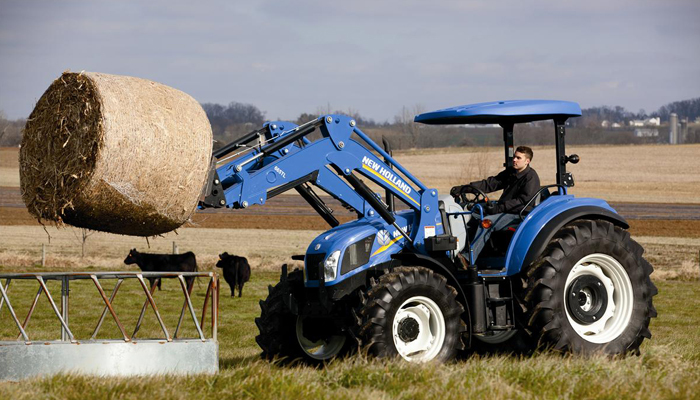 Starting with the tubeless R4 tires with 12-16.5 dimensions for the front and 16.9-24 for the rear, the large axle and transaxle castings allowing lifting up to 1,400 kilos using the three-point hitch, the 4035 is easy to control when using all kinds of implements. Also, the controls are very ergonomically positioned in the operator’s room, which allows easy access during every activity in which the 4035 is involved.